Palmetto Exterminator’s goal is to protect your health and property. With over 57 years of pest control experience and two graduate entomologists on staff, Palmetto Exterminators is always searching for innovative ways to improve our customer service and satisfaction. We place emphasis on the education and training of our employees, with special attention given to providing first-rate pest control protection in an environmentally responsible manner. Palmetto Exterminators understands that the key component to our company’s strength, longevity and success is our employees. By providing a stable work environment and fostering a family atmosphere, Palmetto Exterminators has a record of high employee retention. 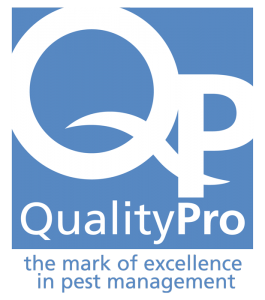 QualityPro is the mark of excellence in pest management. Becoming a QualityPro company means that Palmetto Exterminators has taken extraordinary steps to ensure that consumers can rely on us. 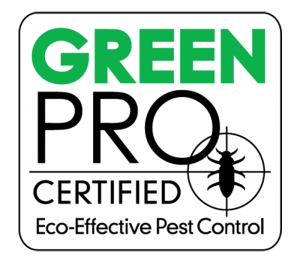 Palmetto Exterminators is proud to be one of the first pest control companies in the nation to offer a green service that has earned the prestigious designation of GreenPro, endorsed by the Natural Resources Defense Council. The NPMA, a non-profit with more than 7,000 members from around the world, was established to support the pest management industry's commitment to the protection of public health, food and property. Palmetto Exterminators, Inc. was established in 1960 in Walterboro, South Carolina. In 1976 the company was purchased by Albert and Lillian Snyder, and has been in the Snyder family since that time. Albert “Bud” Snyder is a graduate of Penn State with degrees in Education and Entomology and has devoted his entire career to the pest control industry. From 1952 until 1965, Bud worked for Truly Nolen Pest Control and Orkin. Then from 1965 until 1975, Bud was the Training Director for Terminix. In 1976, wanting to put his years of service and knowledge to work, Bud Snyder purchased Palmetto Exterminators. The young man answered all my questions concerning certain bugs. He was courteous and knowledgeable. We have recommended Palmetto Exterminators to others. Also this was the second time we used their service and will continue to do so.